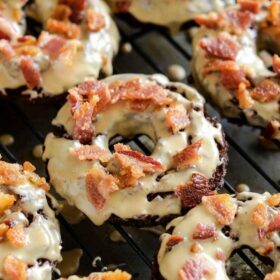 Chocolate Maple Bacon Donuts: old fashioned chocolate donuts, made extra tender with hidden yogurt, are fried and dunked in a maple glaze and topped with bacon! 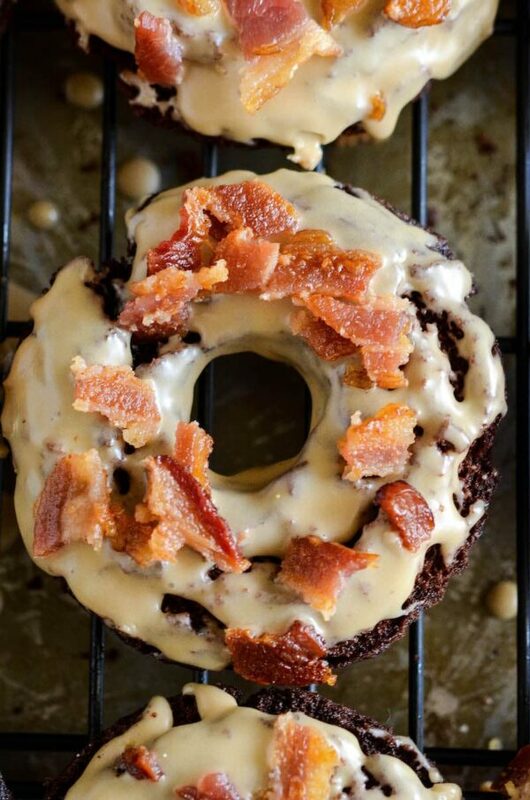 I am so excited to be bringing you the recipe for these Chocolate Maple Bacon Donuts on this very exciting week. First, I am excited because, well, FRESH HOT DONUTS. Secondly, my babies went off to preschool this morning for the first time ever. As you can expect, there were major tears on both sides, but I know this is going to be great for them and me. Trying to keep strong, thankfully the donuts are helping dry my tears. Third, it’s officially the last week of August! Fall is finally on the horizon and I can not wait. As soon as labor day is over, all my pumpkin decor is coming out and I am going full out. I know I say it every year, but fall is my absolute favorite time of year. After another crazy hot Florida Summer, I am extra extra ready the year. To kick off the celebration, I am starting with one of my favorite fall flavors, Maple!! I made these donuts with a generous cup of The Greek Gods® Greek-Style Yogurt, Maple Flavored, to keep them extra tender and full of flavor. My family and I are big yogurt fans and we always have a few different flavors in the house at any given time. We were so excited to hear about the new maple flavor from The Greek Gods® Greek-Style Yogurt and were not disappointed once we got to try it! We eat it plain, with homemade granola on top, or I have even frozen it to make Maple Froyo pops for the girls to enjoy during these last few hot weeks. By the way, don’t let the name trick you. The Greek Gods® Greek-Style Yogurt is reminiscent of the classic flavors used in Greece, but is made using a traditional yogurt method. 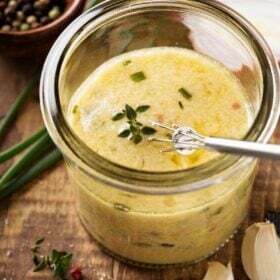 It is not a Greek yogurt, but a creamy, rich and full flavored yogurt. 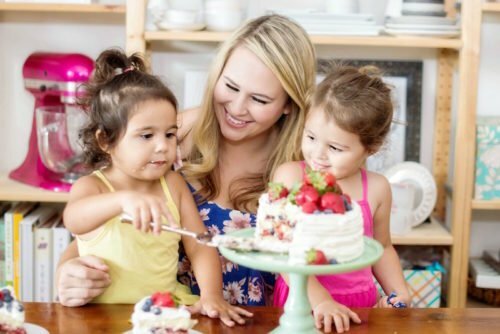 The Greek Gods® Greek-Style Yogurt has a rich and creamy texture and so many delicious flavors. While we currently can’t stop eating the new maple flavor, we also love black cherry and honey flavors! 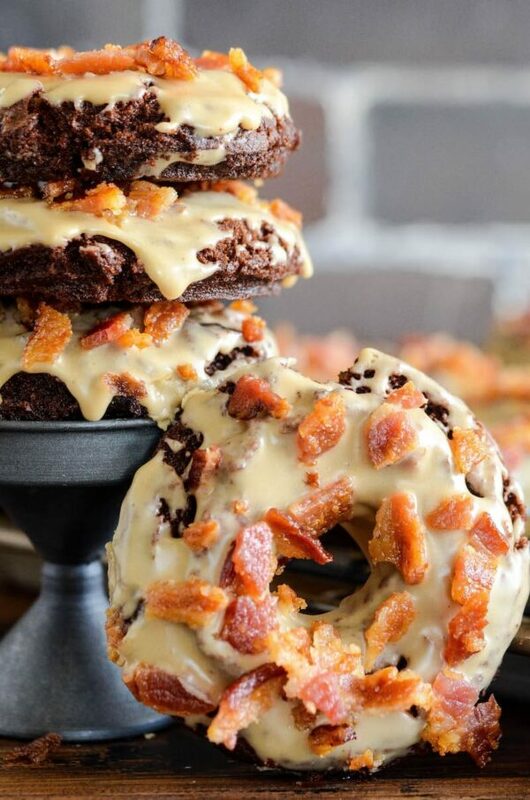 These Chocolate Maple Bacon Donuts might sound like a lot of work, but I promise they aren’t bad since they don’t involve yeast or waiting of the dough to rise. You can make the dough up to a day before and keep it in the fridge until you are ready. I usually make the dough the night before, so in the morning all I have to do is roll out the dough and fry them up! 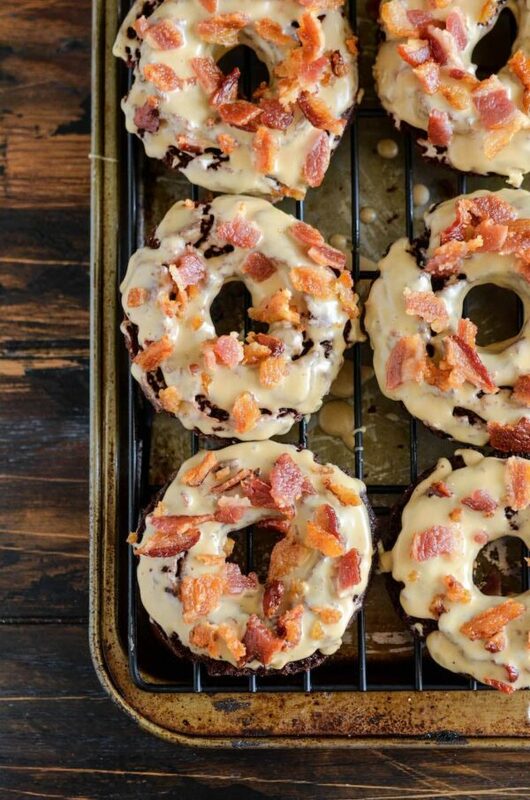 I know these Chocolate Maple Bacon Donuts are going to be a new family favorite. 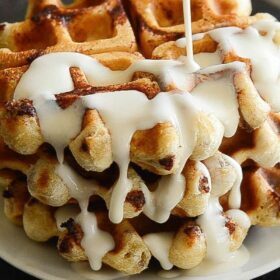 They are loaded with double chocolate and maple yogurt to keep them extra rich and tender. Then they are dipped in a gorgeous maple glaze and sprinkled with freshly crumbled bacon. 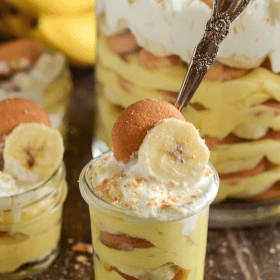 Perfect for breakfast, brunch or even dessert! In a medium bowl, sift together the flour, cocoa powder, cornstarch, baking powder and salt, set aside. In a large microwave safe bowl, melt butter and chocolate for 1 minute. Stir, until melted and well combined. May need 30 seconds more in the microwave to be smooth. Using a mixer, add sugar and egg yolks, beat quickly to combine. Add The Greek Gods® Greek-Style Yogurt and beat until smooth, scraping the sides as needed. Add the dry ingredients to the mixing bowl, and beat until well combined. The dough will be sticky. Cover with plastic wrap and chill for 1 hour or up to 24 hours. On a well floured surface, roll out the dough to about 1/2 inch thickness. Use a doughnut cutter or two differently sized biscuit cutters to cut out as many doughnuts as possible. Pour 4 inches of canola oil into a heavy bottomed pot with a deep-fry thermometer attached. Heat to 350°F. Fry the doughnuts a few at a time, being careful not to overcrowd the pot. Fry on each side about 2 minutes, being careful not to let them burn. Let drain on a layer of paper napkins to soak up the excess grease. 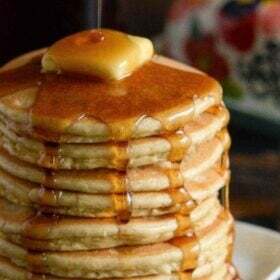 Maple Glaze: In a small bowl, whisk all ingredients until smooth. If icing is too thick, add additional milk, one teaspoon at a time as needed. Dip donuts in maple glaze and place donuts on a wire rack set over a baking sheet (to catch the excess glaze). Sprinkle with crumbled bacon and let sit for 10 minutes to allow glaze to set. Serve fresh! This post is sponsored by The Greek Gods® Greek-Style Yogurt. All opinions are, as always, 100% my own. Thank you for supporting the brands that I love! Would it be possible to turn this into a muffin or bread recipe? Hi Jenifer, this recipe dough was specifically made to fry into donuts. I do not believe it would make a good muffin or bread. What a fantastic flavor for a donut! 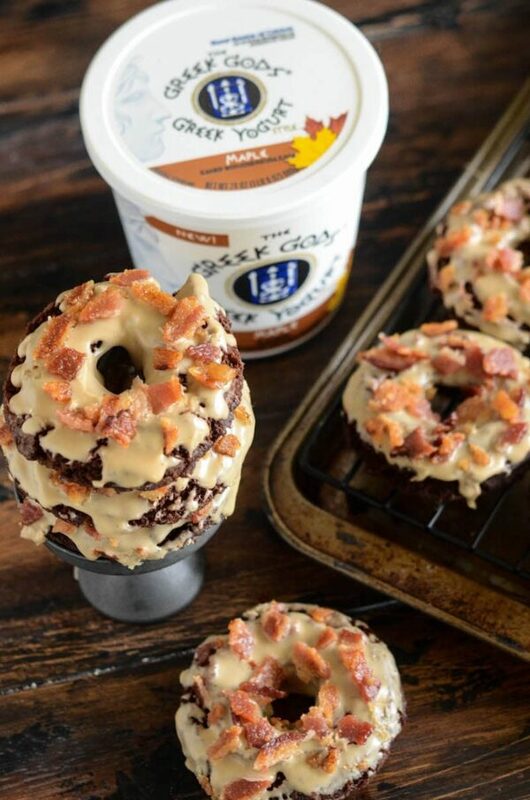 Maple bacon and chocolate? Count me IN!! These are seriously so so fantastic! I know whenever I come here, I’m going to leave hungry! 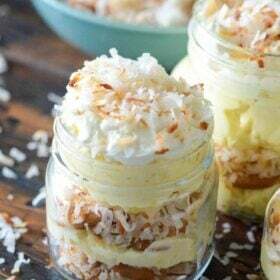 These look fabulous!! Oh my goodness, these are fantastic!! I can’t wait to try them!! First of all, these donuts look amazing! 🙂 And second of all, Greek Gods makes a Maple Greek yogurt now?? Totally looking for that the next time I am at the store. Yes! It’s my girl’s new favorite flavor!! 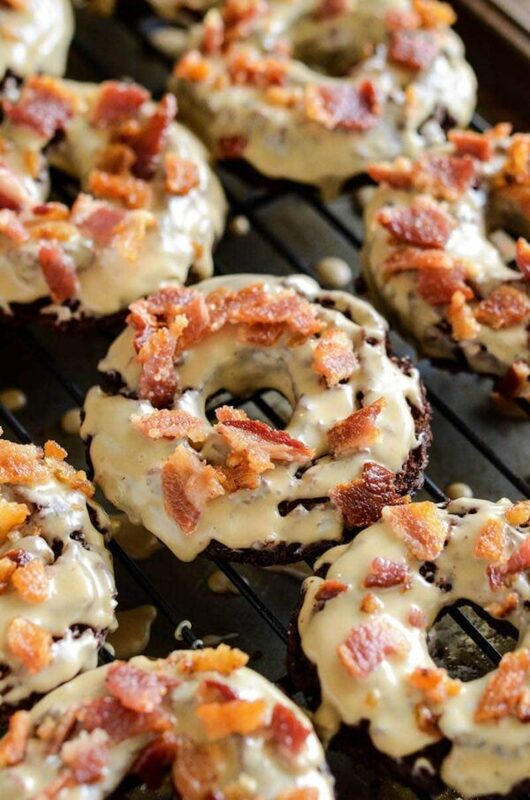 You had me at bacon — These look amazing! Time to make these donuts!!! Do not worry your kids are fine, they will develop a lot you will notice. 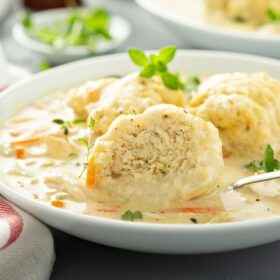 I thought it was a good idea for you to prepare these cookies to try to deal with the situation, genial, best thing is that we won temb’me this tasty recipe, that pelovisto these cookies are delicious. Its looking amazing Jessica, love to taste it.